The camera of a final proofing is delivered complete with the climate monitoring device which creates a microclimate, necessary for fermentation of the test. 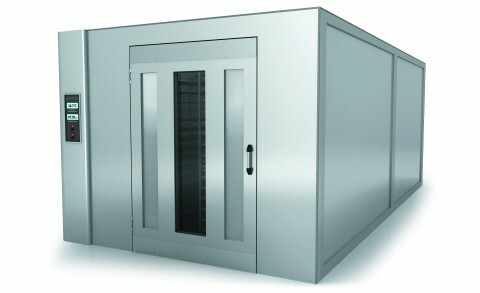 The proofing box consists of aluminum panels, installation of equipment very simple. The size of a proofing cabinet is defined individually for each customer proceeding from the required production and features of location.